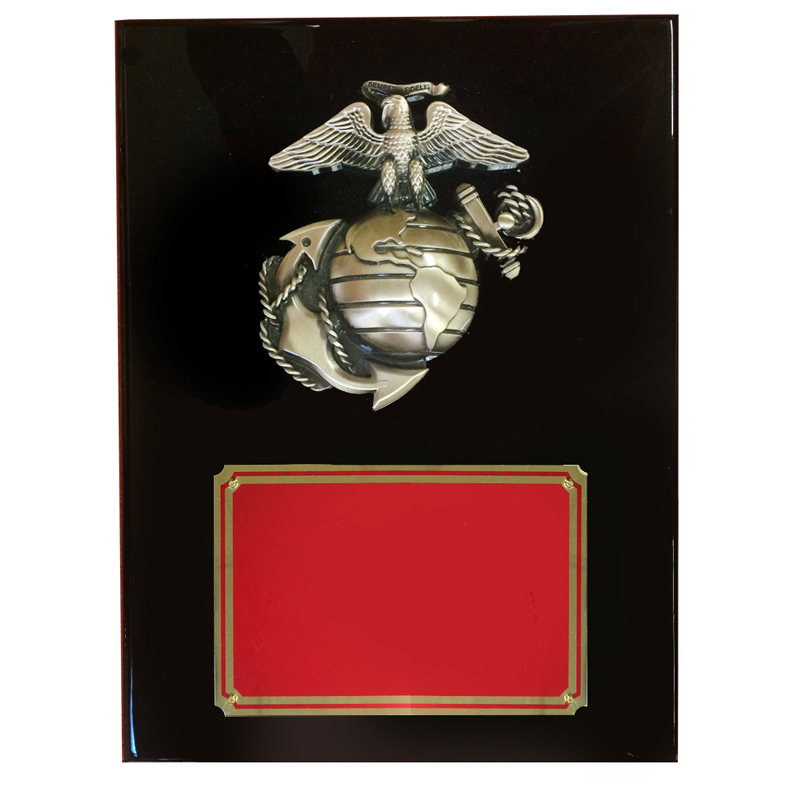 Item Description: 9 x 12 inch piano finished black plaque with 5-1/2 inch modeled antique brass Marine Corps. casting. Comes with red and gold screened engraving plate.